Ultimate Secret Formula Lab Just $28.20! Down From $54! PLUS FREE Shipping! You are here: Home / Great Deals / Amazon Deals / Ultimate Secret Formula Lab Just $28.20! Down From $54! PLUS FREE Shipping! Score this Ultimate Secret Formula Lab at Amazon for just $28.20 down from $53.93 PLUS FREE shipping! Prepare to amaze your friends and family with Science! Investigate fluid dynamics and chemical reactions with experiments like Pop Push Challenge, Spud Bubbles, Visible Vapor, and Foaming Pink Volcano. Demonstrate the power of pressure with Gravity-Defying Water, The Amazing Breathing Marshmallow, and Super Squeeze. But don’t stop there! 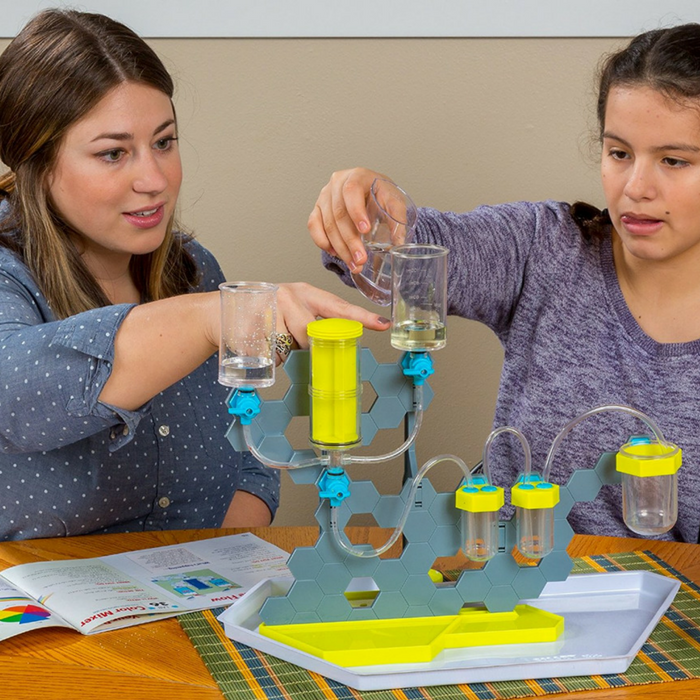 Develop your own labs and ‘tricks’ to perform with the custom Experimentation Station. The pressure’s on!